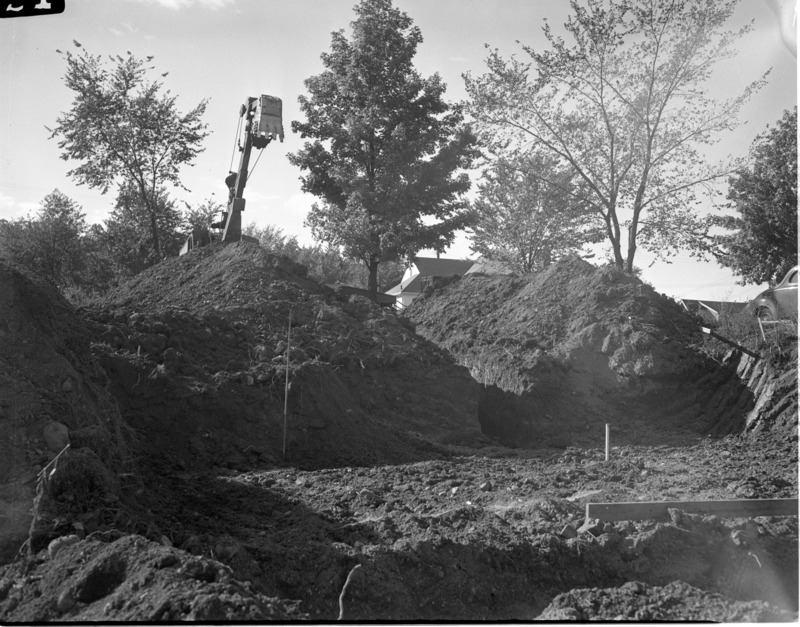 HIGH SCHOOL BOYS WILL BUILD HOUSE HERE: Pictured is the excavation for the foundation of a house to be built from the ground up by Ann Arbor High school students, under the supervision of John Stueckeman, president of Washtenaw Building Trades Council. The site is at 700 Mt. Pleasant Pl. Students will be paid by the hour and also will receive course credits for their work on the project. Arrangements were made by representatives of Carpenters Local 512 in co-operation with the Ann Arbor High school administration.